Use either WASD or arrow keys to run the rat. current version: 3 lives then game hangs. 3 randomly-moving cats and 1 aggressive waypoint-AI cat. Eat all the cheese dots and nothing happens. 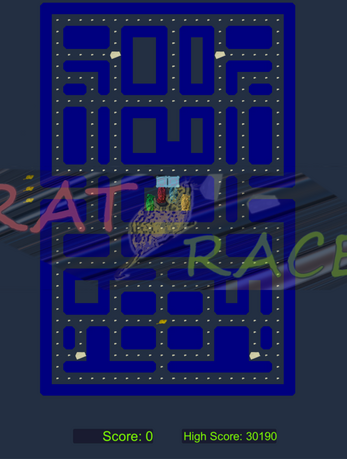 The name of the game is Rat Race (the name of the git project was chosen before I decided that). 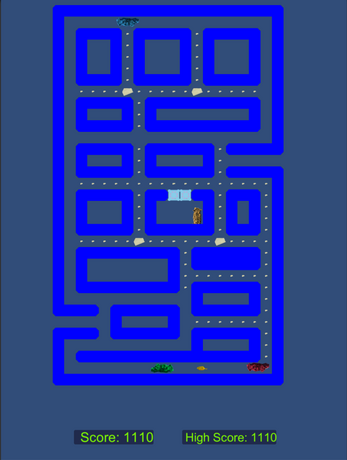 You control a rat in a maze. 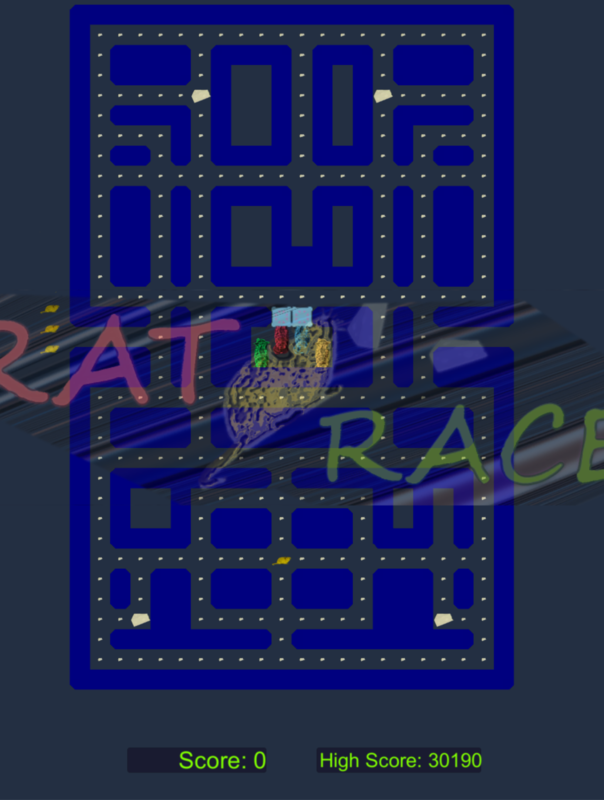 The rat must clear the maze of little bits of cheese while being chased by aggressive cats. 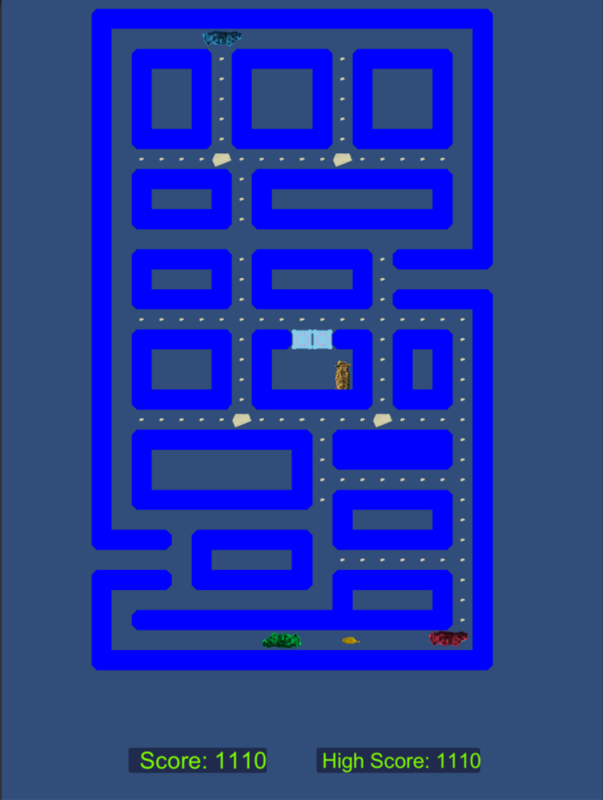 Each maze has big pieces of growth-hormone-laced cheese which temporarily turns the rat into a super rat that can chase and swallow the cats. Like a real rat race, once you clear the board, you have to race again. But of course, somebody has moved the cheese(s) now.